There’s trouble in the water for the residents of Amity Island as swimmers are picked apart by a great white shark. Based on the best-selling novel by Peter Benchley, and directed by Steven Spielberg, the straight A to Z adventure has travelled to The Bridgewater Hall for an immersive live-action retelling. The story follows police chief Brody (Roy Scheider), shark hunter Quint (Robert Shaw) and oceanographer Matt Hooper (Richard Dreyfuss) as the trio band together in the hunt for Bruce the shark (named after Spielberg’s lawyer). At The Bridgewater, an extra wide cinema size screen is raised above the heads of the Czech National Symphony Orchestra who accompany the suspenseful tale with the phenomenally performed atmospheric score by John Williams. The 1975 movie has never looked or sounded better. Spielberg’s classic mixes a mesmerising pace, superb acting and an iconic score to form a masterclass in film-making that is credited with inventing the summer blockbuster. Yet this problematic production ran past schedule and over budget, with the added threat of its malfunctioning mechanical monster forcing its director to take a Hitchcockian approach. Spielberg shows everything but the shark for much of the first hour, with a focus on misdirection that allows the music to take centre stage. Here, the soundtrack formed by the Czech National Symphony Orchestra amplifies the tension and intensifies the experience. Conductor Ben Palmer launched straight into the production, bringing the action to life within the modern concert hall. 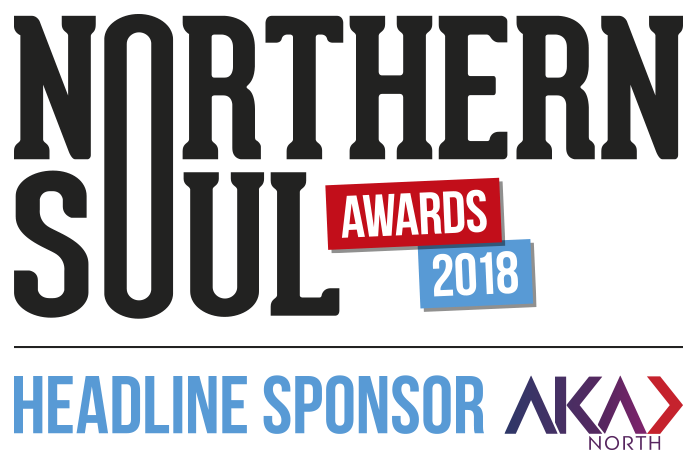 The powerful, virtuosic symphony sync the Academy Award-winning score to the screen and shape the suspenseful atmosphere for this jaw-dropping thriller. 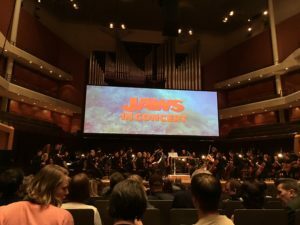 Live film concerts are becoming popular attractions at Manchester’s Bridgewater with the upcoming Jurassic Park and Raiders of the Lost Ark trailers shown before the performance. 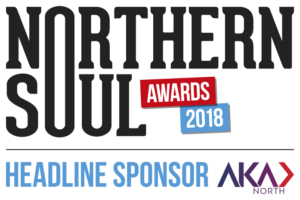 These concerts offer an amazing experience for all live music lovers, and the Bridgewater’s merging of the classic and contemporary brings a diverse audience of young and old alike. The film has been split into two halves but, apart from the occasional sea shanty from Quint, there is little in the way of music for the first hour of the production. This laid-back score allows the audience (and the orchestra) to simply appreciate the film on the ultra-wide screen. The screening would have benefited from the use of subtitles as some technical issues left parts of the audio muffled through the first half. But by the second, the suspenseful score was thoroughly in place. Some 43 years since its initial release, the trend-setting story remains a staple in the top 100 movies lists, and the Bridgewater crowd is awash with Jaws t-shirts. 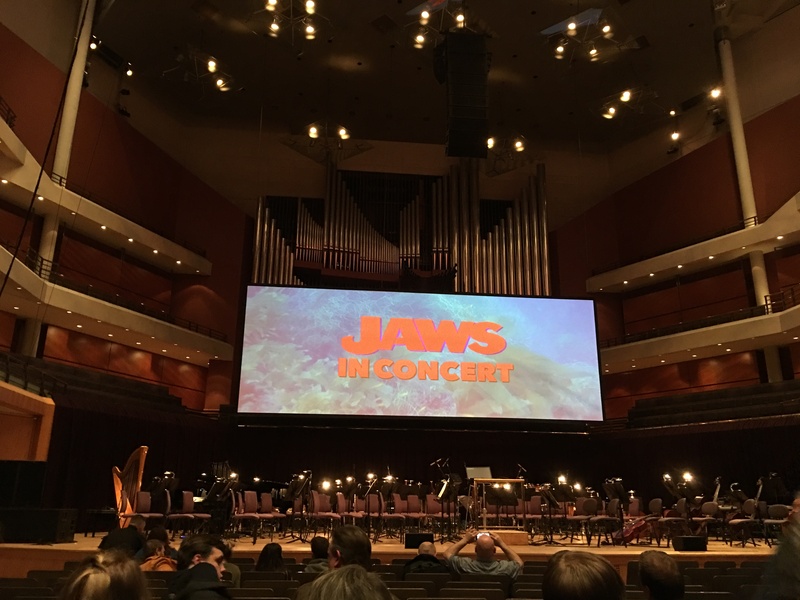 As the driving force of many of the movie’s memorable moments, Jaws’s distinctive score hangs beautifully throughout the hall, with the orchestra making it even easier to imagine what lies beneath the surface.